Olejna 12 in Lublin is a guest house with 5 Rooms. Olejna 12 is located in Lublin, 600 metres from Czartoryski Palace, and offers free WiFi. This property is situated a short distance from attractions such as Krakowskie Przedmieście Street and Sobieski Family Palace. The property is 3.6 km from Lublin International Fairs. All units are fitted with a microwave, fridge, a kettle, a shower, free toiletries and a wardrobe. Each room is fitted with a private bathroom. Guest rooms at the guest house come with a seating area. Lake Zemborzycki is 10 km ...from Olejna 12, while Lokietka Square is 500 metres away. Lublin Airport is 12 km from the property. 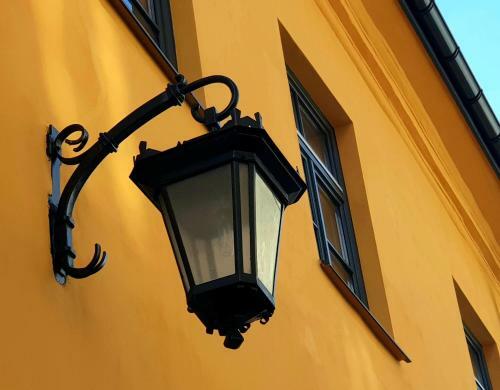 Olejna 12 is located in Lublin, 600 metres from Czartoryski Palace, and offers free WiFi. This property is situated a short distance from attractions ...such as Krakowskie Przedmieście Street and Sobieski Family Palace. The property is 3.6 km from Lublin International Fairs. All units are fitted with a microwave, fridge, a kettle, a shower, free toiletries and a wardrobe. Each room is fitted with a private bathroom. Guest rooms at the guest house come with a seating area. Lake Zemborzycki is 10 km from Olejna 12, while Lokietka Square is 500 metres away. Lublin Airport is 12 km from the property. When would you like to stay at Olejna 12?